If you wish to put your best foot forward, you need to take care of your feet properly. Poor foot hygiene and dry skin can lead to peeling skin on your feet. Many people have experienced peeling skin on the bottoms of their feet or their toes. Peeling skin on your feet is not life-threatening, but your feet may hurt or feel itchy. Also, it becomes a beauty concern for many. The common cause of peeling skin on the feet is lack of moisture or dehydration resulting in excessively dry skin. 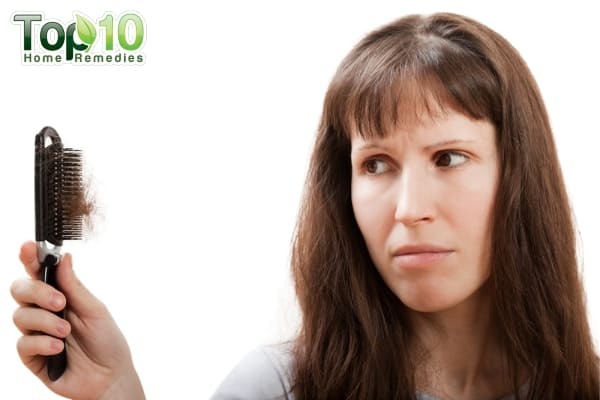 The skin can also become dry due to the environment or excess physical activity. Dryness causes the skin to shrink, and it starts peeling. Also, dead skin cells can build up on the soles of the feet, making the skin flaky. Other possible causes include fungal infections, sunburn, reactive arthritis, dermatitis and some kind of allergic reaction. Peeling skin on the feet is common among people with diabetes and those who do not practice proper foot hygiene. Also, people who are not in the habit of wearing closed shoes or socks and if their feet are exposed to dry weather or extreme temperatures are also at a higher risk. If not treated timely, skin peeling on the feet can lead to a serious bout of athlete’s foot. 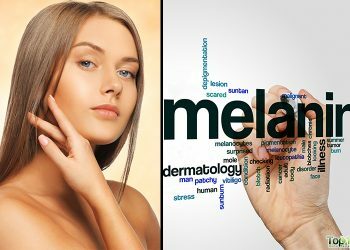 However, once you know what is causing the skin to peel, you can try several remedies to solve this skin problem. Most of the home remedies are quite simple and provide quick results. Here are the top 10 ways to get rid of peeling skin on your feet. Soaking your feet in warm water for a few minutes daily will help loosen accumulated dead skin, which you can then easily scrub off using a pumice stone or brush. Also, it helps relieve strained or tense muscles and has a relaxing effect on your body. Fill a foot tub with lukewarm water. Use a pumice stone to gently scrub off the dead skin cells. Wash your feet with clean water and dry them thoroughly. Put moisturizing lotion or foot cream on your feet. Put on a pair of socks to help lock in the moisture. If you’re doing this before going to bed, wear them overnight. Repeat regularly and soon the peeling will stop. To make this treatment more effective, you can add a handful of Epsom salt to the water. The high amount of magnesium in it helps remove toxins from the feet, which in turn reduces peeling skin. Dryness is the primary cause of peeling skin on the feet, so it’s critical that you keep your skin hydrated. Massaging your feet with oil on a regular basis is a good way to keep your skin moisturized. Choose a natural oil like almond oil, vitamin E oil or olive oil. Any of these will help moisturize your dry or even extremely dry skin and treat peeling problems. Slightly warm up some olive oil, coconut oil or almond oil in a microwave. Liberally rub the warm oil on the affected area. Gently massage your feet, so the oil penetrates deep into the skin. Do this 2 or 3 times daily until your condition improves. Always massage just after washing your feet and before the skin is dry to help lock in moisture. 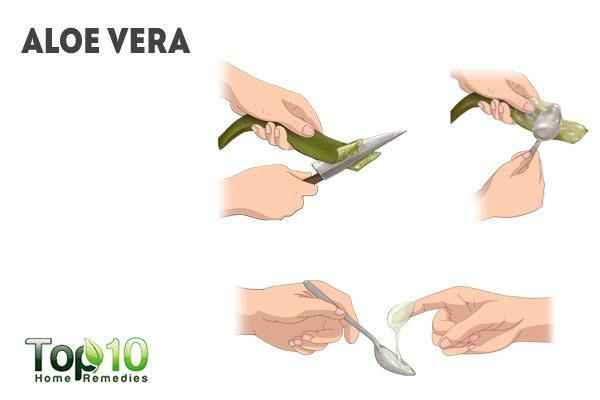 If the skin on your feet is peeling due to excessive dryness or a sunburn, try aloe vera gel. The soothing nature of aloe vera helps soothe the area, while also keeping it well moisturized. It also reduces inflammation, irritation and itching. Aloe vera also accelerates the production of collagen, which is important for healthy skin. Mix 2 tablespoons of aloe vera gel and a few drops of vitamin E oil. Apply it on your feet and let it dry on its own. Rinse it off with warm water. Repeat 2 or 3 times daily for at least 1 week. Also, before going to bed, apply some aloe vera gel on your feet and wear a pair of clean socks overnight to let the gel work into your skin. Oatmeal is another effective remedy. It removes accumulated dead skin, as well as softens and moisturizes the skin. It is also very helpful in reducing itching and irritation associated with peeling skin. Mix 2 tablespoons of oatmeal and enough rose water to make a paste. 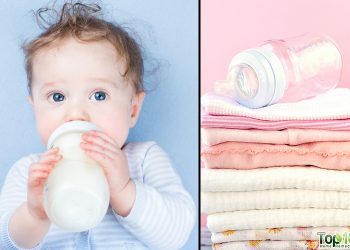 If you do not have rose water, use plain water or milk. Apply the paste on your feet. Allow it to dry, then scrub the mixture around on your feet. Rinse it off with cold water and pat dry. Repeat once daily. Alternatively, mix 1 cup of powdered oats in a foot tub filled with warm water. Soak your feet in this mixture for 10 minutes. Rinse your feet with clean water and pat dry with a towel. Apply a good quality moisturizer afterward. 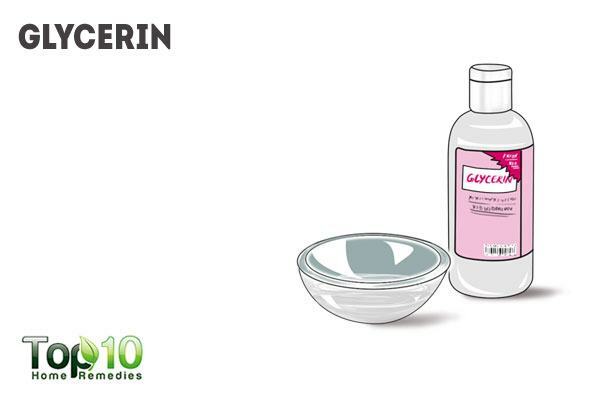 Mix equal amounts of glycerin and rose water, then apply the mixture on your feet. Wait 20 minutes, then rinse it off with lukewarm water. Do it twice daily. Alternatively, mix together 1 tablespoon each of glycerin and lemon juice, 3 tablespoons of sea salt and 1 teaspoon of rose water. Apply it on your feet and allow it to dry on its own. Scrub off the mixture, then rinse your feet with cold water. Use it once daily. Also, lemon makes the skin soft and vibrant. 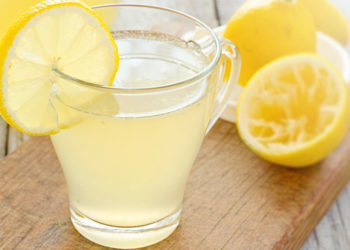 Mix the juice of 1 lemon into a foot tub filled with lukewarm water. Soak your feet in it for 10 minutes. Scrub your feet with a loofah, then rinse them off with water and pat the skin dry. Apply some light moisturizer. Do this 2 or 3 times a week. 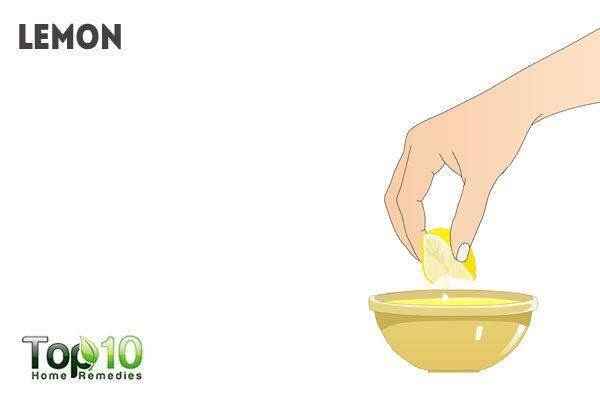 Alternatively, mix 1 teaspoon of petroleum jelly and the juice of 1 lemon. Before going to bed, apply the mixture on your feet, especially the areas that are dry. Wear a pair of dry socks overnight. The next morning, exfoliate your feet. Repeat regularly. Caution: Do not use lemon if you have any cuts or open wounds on your feet. Another surprising yet effective remedy for peeling feet is a mentholated rub like Vicks. Being a emollient, it moisturizes your skin. Plus, due its menthol content, Vicks helps fight fungal infections that could be causing your cracked feet. 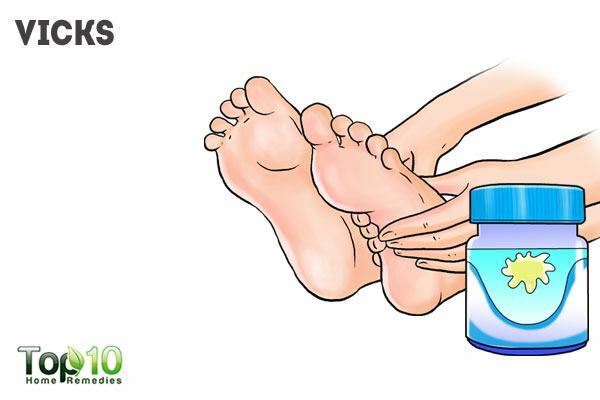 Apply a thick layer of Vicks Vaporub on your feet. Gently massage your feet with it for a couple of minutes. Put on a pair of socks so the ointment stays on your feet overnight. The next morning, rinse off the ointment with warm water. Do this once daily for about a week. Honey locks moisture into the skin cells, making it an effective treatment for peeling skin on the feet. It contains fructose, water, oil, and enzymes that make it a great natural skin moisturizer as well as antibacterial agent. 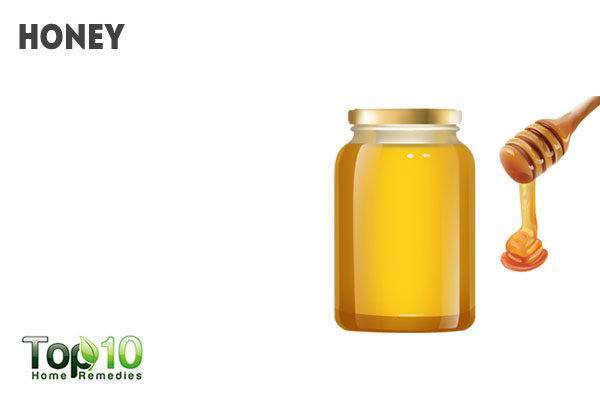 Honey is also effective at reducing itchiness and irritation associated with peeling skin. Rub a small amount of honey on the affected skin. Leave it on for 10 to 20 minutes before rinsing it off with lukewarm water. Do it 2 or 3 times a day. Alternatively, fill a small tub with lukewarm water. Add 2 to 3 tablespoons of honey to it. Soak your feet in it for 10 minutes, then wash them with clean water and pat dry. Repeat once daily. 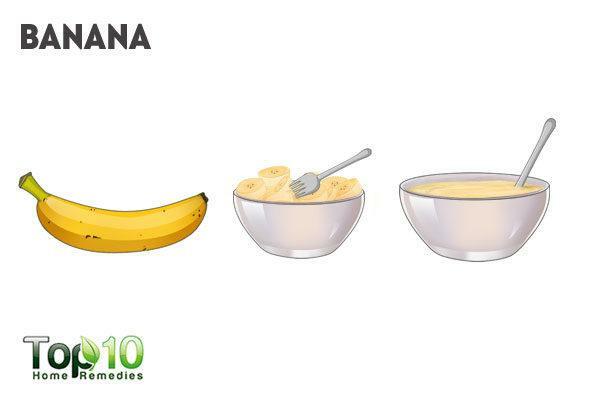 For treating peeling skin, always choose an overripe banana. Mash an overripe banana into a thick paste. You can also add a couple teaspoons of honey in it. Apply it on your feet for 10 to 15 minutes. Rinse it off with lukewarm water. Use this remedy every day. Alternatively, make a paste of 1 ripe banana, ½ avocado and 1 teaspoon of powdered orange peel. Apply it on your feet and leave it on for 30 minutes. Wash it off with lukewarm water and pat dry your skin. Apply a light moisturizer. Do this once daily. Soak your feet warm water for 15 minutes. You can also add 2 tablespoons of Epsom salt to the water and then soak. 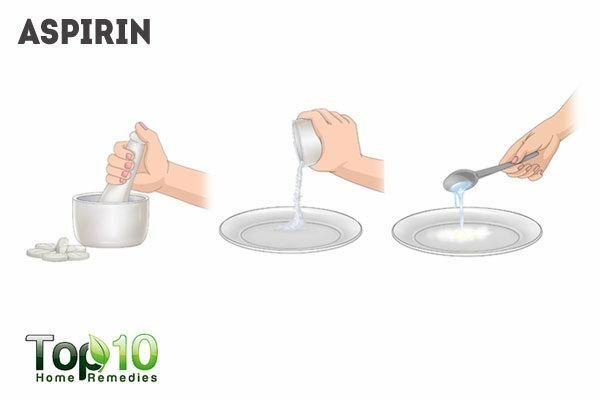 Using a mortar and pestle, crush 10 uncoated, 100 percent pure aspirin pills into a powder. Add 1 or 2 tablespoons of fresh lemon juice to the powder to get a runny paste. Cover with a plastic wrap and leave it on for at least 2 hours. Remove the plastic wrap, wash your feet, them dry them thoroughly. Repeat once daily for a few days or until your skin heals. You can use an electronic foot file to buff away dead skin and smooth out cracked soles and peeling skin. Always keep your feet moisturized using a good quality moisturizer to keep water from escaping the skin. Apply a thick layer of petroleum jelly on your feet, put ona pair of clean socks and then go to bed. Rinse it off in the morning. Limit your bath or shower to not more than 10 minutes and use warm, not hot, water. Apply a moisturizer on your feet immediately after bathing to help trap water in the surface cells. Do not use a drying soap to clean your feet. Instead, use cleansing creams, gentle skin cleansers and shower gels with added moisturizers. Winter can be drying to your skin, so be sure to keep your feet protected by wearing socks. Use a humidifier to add moisture to the air inside your home. It is important to inspect your feet regularly, especially the areas between your toes, and check for signs of a fungal infection. Change your shoes and socks regularly and do not wear shoes or socks that are not clean. Always apply sunscreen on your feet before leaving the house to prevent them from getting sunburn. 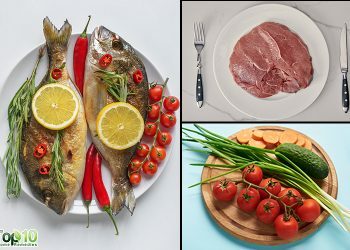 It is important to eat a healthy diet, so as to have healthy skin. Really A good collection….of best home remedies.